A tranquil pond is featured in brilliant color, perfect for any North Carolina home or business. In Charlotte, North Carolina, stained glass reflects a varied culture, a stunning locale and a diverse population. At Stained Glass, Inc. in Greenville, Texas, Charlotte bound stained glass creations range from traditional to contemporary to suit every project according to client preferences. At Stained Glass, Inc., artisans blend cutting edge technology with old world artistry for panels that are virtually unbreakable and easily installed, crafted with brilliant color and flawless imagery. Whether the stained glass is commissioned as part of the décor of a new build, or as a sought after element of a renovation, glass art for windows, skylight covers, domes, transom windows and door inserts is an amazing décor feature. Besides a rich history in the nation’s auto racing culture, Charlotte also boasts a strong reputation as a technology center and financial hub for industry and growth. For boardrooms or living rooms, stained glass from Stained Glass, Inc. shines up every décor scheme. Superior stained glass design enhances Charlotte’s interior spaces to match the stunning exterior spaces, including nearby Blue Ridge Mountains, Uwharrie National Forest and Kings Mountain National Military Park. Charlotte has earned the designation “The City of Churches” because faith is a common denominator for believers across the area. Christian congregations run the gamut from the historical Southern Presbyterian to Baptist, Methodist, Lutheran, Roman Catholic, Episcopalian, and Shalom Park, the hub of a large Jewish community. With beautiful churches comes beautiful stained glass, for everything from windows to sidelights for entrances, altar furniture to hanging art panels. Stained Glass, Inc.’s collection features hundreds of works of stained glass art depicting religious figures, saints, holy days, Bible symbols and many more. Nearly 200 neighborhoods dot Charlotte’s landscape, ranging from historical mansions and estates of Myers Park and Dilworth to vibrant NoDa and the South End. Designs from Stained Glass, Inc. bring charm and grace back to older homes and add flair and panache to new ones. For retail outlets, boutiques and businesses in Charlotte, stained glass entrances, skylights, counter accents and lighting create a warm and friendly welcome for customers. An important collegiate center of the South, Charlotte’s list of distinguished universities includes the University of North Carolina and several others. Buildings, libraries, gazebos, social halls are all enhanced by the glow of light on color from superior stained glass. From residential bathrooms and entrances to department stores, pubs and taverns to libraries and lecture halls, even greenhouses and conservatories, stained glass from Stained Glass, Inc. sets the stage for comfort, friendly interchange and learning, just as it does for worship across the nation. Why Stained Glass, Inc. for Charlotte Stained Glass? Every Charlotte architect and builder is concerned with efficiency as well as aesthetics, and stained glass from Stained Glass, Inc. delivers in both areas. Virtually unbreakable, polymer glass provides durability and heat fused mineral pigments ensures color intensity. 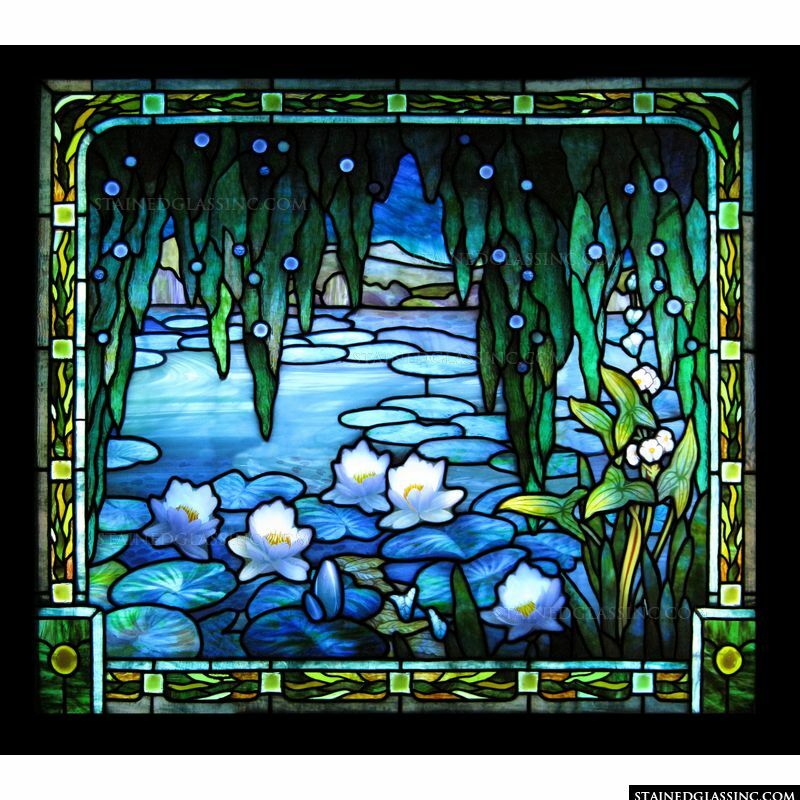 Check out Stained Glass, Inc.’s wide array of breathtaking works of stained glass art, and then contact our experts today to get you on your way to finding your ideal stained glass for Charlotte.